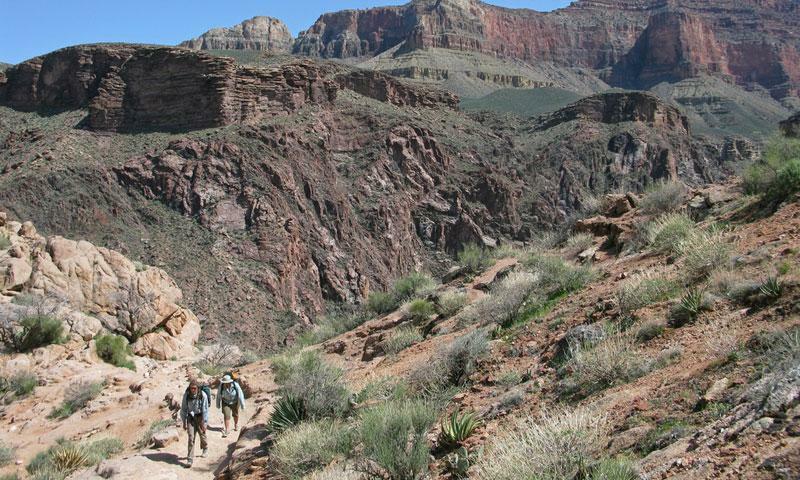 The Bright Angel Trail is the Grand Canyon National Park's super roadway, located along its south rim. It is preferred by most hikers, especially during the blasting heat of summer because it is well-shaded and offers outstanding views. It also has watering facilities for those in dire need or just simply to water tired mules. 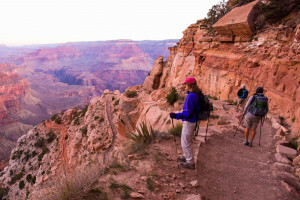 One of the Grand Canyon National Park's rim side trails is the Bright Angel, which acts as a main thoroughfare between the south point and other areas. It is one of the most hiked trails during the summer months because of its cooling walks and water supplies. In fact, it has become the number one trail in the park itself. There are a number of rest spots along the route, including at the half mile, three mile and five mile points. However, it leads to the perfect campground, just 6 miles along. The trail is quite famous, a trading route and commuter road for early trappers, settlers and local native tribes. In fact, its ownership was challenged prior to World War II by a land owner who was determined to keep it for himself. However, with some coaxing and a final deal being put in place, the trail was bought by the Park Service. Bright Angel has some interesting terrain, undulating, sometimes dramatically in places. It switches back in places, making easy going enroute to the many backcountry campgrounds, but extremely laborious on the way back. 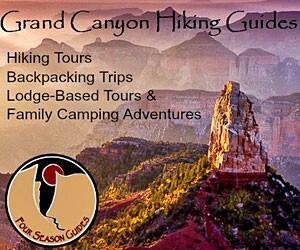 Some of its renowned attractions include a natural garden, rock tunnels, petroglyphs and curious rock formations. One of the most intriguing is the visible fault line that runs between rock faces and sometimes cuts through entire walls, something that is very visible to the naked eye.